Hypertension is emerging as a serious health problem all over the world. Also known as high blood pressure, it is ranked as the third most important risk factor for cardiovascular diseases burden in India. According to a 2014 study published in the Journal of Hypertension, high blood pressure is responsible for around 57% of all stroke deaths and 24% of all coronary heart disease deaths in India. Moreover, the World Health Organization rates hypertension as one of the important causes of premature deaths globally. This is because approximately 40% of adults aged 25 years and above have been diagnosed with hypertension, which equals to around one billion people affected by the high blood pressure. Although high blood pressure is a cause of concern, there are a few simple ways to keep a tab on your blood pressure. The first and foremost thing is to ensure you take medications to control blood pressure as recommended by your doctor. The second is to go for timely health check-ups before high blood pressure becomes a silent killer and can increase your risk of heart disease. 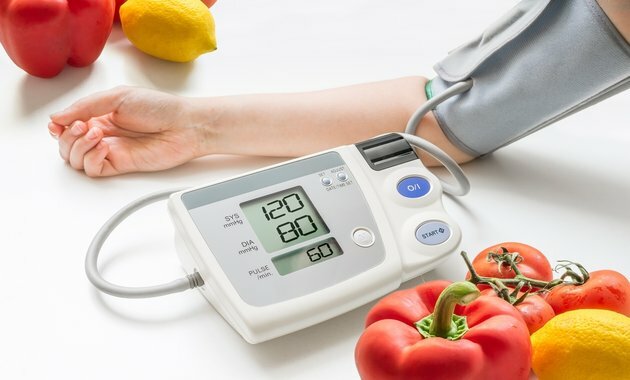 The third and the most effective way to control blood pressure is to make a few lifestyle changes that range from diet and exercise to managing stress. Here are the top six tips to get started! People who are physically active are often found to keep better control of their blood pressure. Moreover, exercising regularly not only improves blood circulation but can also help you to cut down on the dose and number of medications you are taking. It is recommended that people with hypertension should perform 30-45 minutes of brisk walking at least 3-4 times a week. This is because it can lower the blood pressure by around 5-7 mm Hg. Also, staying active and being physically fit can also help you to keep your weight in check. Being overweight and obese is a known risk factor for hypertension. Hence, exercising on a regular basis can cause weight loss which in turn can aid in lowering your blood pressure. Studies have reported that weight loss of around 10 kgs can lower the blood pressure by 5-20 mmHg. The role of salt in increasing your risk of high blood pressure is well-known. Excessive intake of salt through diet can up your blood pressure and put you at risk of heart complications. This is the reason why people with hypertension are advised to keep a close eye on their salt intake. Hypertensives are recommended to restrict salt intake to less than 6gm/day, which is not more than half a teaspoon. The lower the intake of salt, the better it is to control your blood pressure. It is not just the table salt but the hidden sources of sodium which needs to be taken into account for better blood pressure control. Right from packaged foods to cheese, sauces, etc are packed with high sodium content which is a strict no-no for people with hypertension. Hence, always read the food labels carefully and opt for foods with low sodium. Avoid having processed foods like chips and salted nuts as they have high sodium content. Develop a taste for unsalted/low salted food and resist the urge to sprinkle salt over salads and cooked food. Most of us are aware of the fact that weight gain is one of the key risk factors for hypertension and other lifestyle diseases such as diabetes and heart disease. And one of the reasons which can cause you to put on weight and up your risk of hypertension is an excessive intake of calories. Yes! Eating a diet rich in calories might add to your fat reserves which in turn can lead to weight gain and obesity. Hence, people with hypertension need to be extra careful when it comes to calories. It is recommended that limiting the calorie intake to around 1500 Kcal per day can work wonders to keep the weight in check. Also, opt for foods that are low in calories but loaded with all the essential nutrients required for better health. Hence, vote for a diet rich in fruits, vegetables, and low-fat dairy products and stay away from refined, processed and oily foods. Eat a healthy diet without compromising on the nutrient profile but check the calories to be on the safer side. If you are a coffee lover, then it’s time to break up with it because coffee is known to act as a stimulant and increase your blood pressure. This is because, it contains caffeine, a compound which causes short-term spikes in blood pressure, even in people without hypertension. So if you are the one who used to start the day with a cup of coffee or take frequent coffee breaks during your work hours, then it is wise to slowly and gradually limit the intake of coffee. It is suggested to limit your caffeine intake to about 2 cups of coffee per day. You can replace coffee with green tea which is packed with antioxidants which are good for overall health including the heart. Stress has become a part and parcel of our everyday routine. And one of the key health complications resulted due to chronic stress is high blood pressure. Managing stress in your life effectively may help reduce your blood pressure. So it is important to know your stress triggers and try to avoid them. Additionally, you can also try some simple tips to relieve stress such as yoga, swimming or taking up any hobby. Take 15 to 20 minutes a day to sit quietly and breathe deeply. You can even try meditation or chanting as it can act as an effective stress-management tool. Gardening, listening to music, joining a dance class or playing with pets can all help relieve stress. Research has found that consuming more than two drinks a day increases the risk of hypertension in both men and women. Moreover, it can also reduce the effectiveness of blood pressure medications. This not only increases your blood pressure but also ups the risk of hypertension-related health complications such as heart attack, stroke, and heart disease. Smoking is a known risk factor for heart attack and stroke. Smoking (both active and passive) causes an increase in the buildup of plaque which puts you at risk of atherosclerosis, which is accelerated by blood pressure. However, the direct connection between smoking and hypertension is not yet determined. Nevertheless, smoking can put you at risk for various health problems and reduce life expectancy and quality of life. So limit your intake of alcohol as well as smoking, which not only helps to control blood pressure but also improves the overall health. Why Is Monitoring Of Blood Pressure Important? 1. Anchala R, Kannuri NK, Pant H, Khan H, Franco OH, Di Angelantonio E, Prabhakaran D. Hypertension in India: a systematic review and meta-analysis of prevalence, awareness, and control of hypertension. J Hypertens. 2014 Jun;32(6):1170-7. 2. Bhise MD, Patra S. Prevalence and correlates of hypertension in Maharashtra, India: A multilevel analysis. PLoS One. 2018 Feb 5;13(2):e0191948. 3. Pescatello LS, MacDonald HV, Lamberti L, Johnson BT. Exercise for Hypertension: A Prescription Update Integrating Existing Recommendations with Emerging Research. Curr Hypertens Rep. 2015 Nov;17(11):87. 4. Tyson CC, Appel LJ, Vollmer WM, Jerome GJ, Brantley PJ, Hollis JF, Stevens VJ, Ard JD, Patel UD, Svetkey LP. Impact of 5-year weight change on blood pressure: results from the Weight Loss Maintenance trial. J Clin Hypertens (Greenwich). 2013 Jul;15(7):458-64. 5. Vinader-Caerols C, Monleón S, Carrasco C, Parra A. Effects of Alcohol, Coffee, and Tobacco, Alone or in Combination, on Physiological Parameters and Anxiety in a Young Population. J Caffeine Res. 2012 Jun;2(2):70-76. Tomatoes Cause Kidney Stones: Myth Or Fact?